The following is a guest post from Erik Vosteen, who has long been a popular presenter at the Chief Richardville House. From flint napping to bark baskets to weaponry, Erik has brought many of these lost arts back to life for his audiences. Erik says, "My interest in the atlatl stems from a general interest in ancient technologies, processes, and resources of the Eastern Woodlands. I have been fascinated with people's interaction with nature and use of local resources since I was a child, and have explored many ancient technologies through the years." Erik will be demonstrating the atlatl on Saturday, June 4, 2011 from 1 to 4 p.m. The atlatl — pronounced "at-latl" — is an ancient projectile weapon system that utilizes a light spear called a "dart" and various types of "throwers" (the atlatl) to cast darts much further than is possible with the bare hands. In North America, there is no historic evidence of this system being used to hunt large land animals. Historically, they were being used by various cultures including the Inuit up north and the Aztecs down south to pursue animals associated with water — marine mammals and fish, and surprisingly, ducks in Peru. Archaeological evidence, however, suggests that pre-historic people of North America did use variations of this system to hunt large land animals — most notably caribou. The Aztec people did quickly begin using atlatls and darts against the conquistadors — it being the only weapon capable of penetrating the Spanish armor. The Spanish noted that the Aztecs were able to cast darts on the run, which the Spanish could not do with firearms, that they could load and cast them faster than firearms could be loaded and fired, and, surprisingly, that the Aztecs could cast darts as accurately for as far as the firearms of the day could be shot. 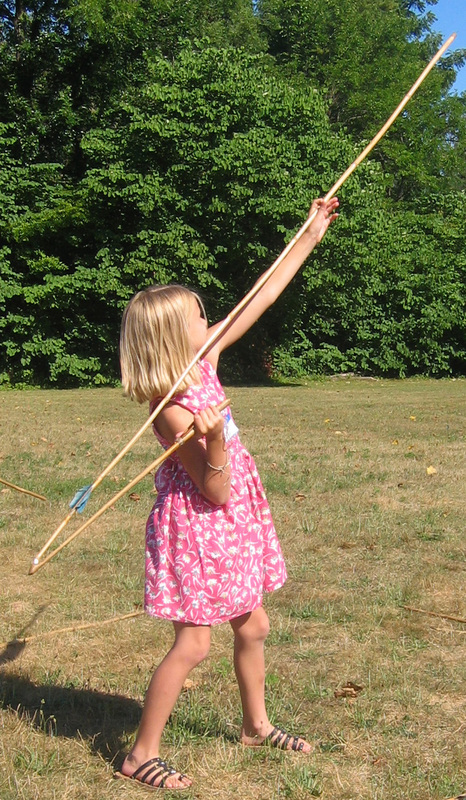 While the atlatl appears to have been used by many cultures worldwide, not all cultures used them — such as in Africa where the hand thrown spear was preferred. It is worth noting that when dangerous animals like large cats are encountered, a hand held spear is still considered more effective protection than a firearm. To quote a native Jaguar hunter in South America, "he who hunts the Tigre with a gun doesn't return, he who hunts them with a spear brings the Tigre home..."
There are many variations of both darts and atlatls designed to utilize the available resources for the intended result. For instance, Inuit atlatls have handles designed to be an emergency paddle while hunting in a kayak, while Peruvian duck darts were designed to skip across the water when cast into flocks of sitting ducks. No matter the specific design, there are some features that recur — like a groove to guide the dart to the tine in the thrower, and a tine that is recessed in the grove to protect it from impacts that might break the tine rendering the atlatl non-functional. We will be using atlatls that mimic the most notable features of historic atlatls. To learn more and to try your hand at casting some darts, come to the Richardville house June 4th. For more information on Erik's activities, visit www.burntmud.com. For photos of our activities, please visit the History Center's Facebook page. For information on the Chief Richardville House, please visit the History Center's web page at www.fwhistorycenter.com/chiefRichardvilleHouse.